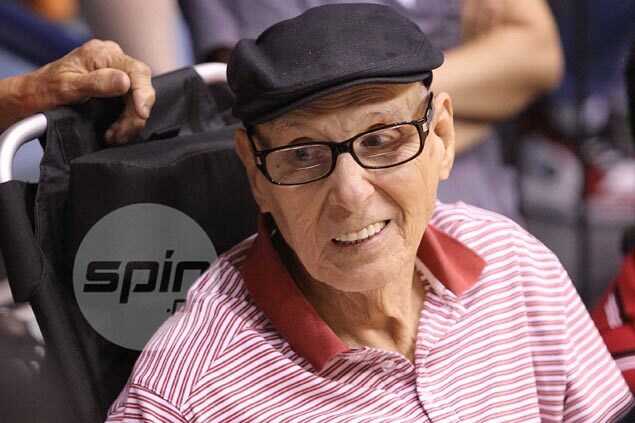 PHILIPPINE basketball legend Carlos ‘Caloy’ Loyzaga passed away on Wednesday. Regarded as the best baketball player ever to wear the Philippine tri-colors, Loyzaga led the national team to a third-place finish in the 1954 world championships in Brazil and remains the only Asian player to make it to the Mythical Team of the world championships. Loyzaga returned to the country just two years ago after suffering a massive stroke in Australia in 2011. The news was first reported by Spin.ph columnist and GMA reporter Chino Trinidad on his social media accounts.